Carolers are singing, snowflakes are swirling and we've just popped a batch of sugar cookies in the oven...Christmas is coming! 101 Christmas Recipes is jam-packed with our tastiest recipes for every holiday occasion. Invite friends and neighbors to a bountiful brunch buffet! They'll hurry over for Zesty Brunch Quiche, Emma's Gingerbread Muffins and mugs of Malted Hot Cocoa. Serve up appetizers like Tomato & Basil Tartlets, Seafood Pinwheels and Jalapeno Cheese Spread at a get-together with girlfriends. You'll breeze through your gift list with yummy food gifts everyone will love...Michelle's Caramel Corn, chocolatey Buckeyes or a pretty tin of Candy Cane Thumbprints. On Christmas Day, gather the family for a festive dinner of Gran's Rosemary Roast Chicken, Twice-Baked Sweet Potatoes and Herbed Corn Bake. Save room for Whipped Pumpkin Pie! 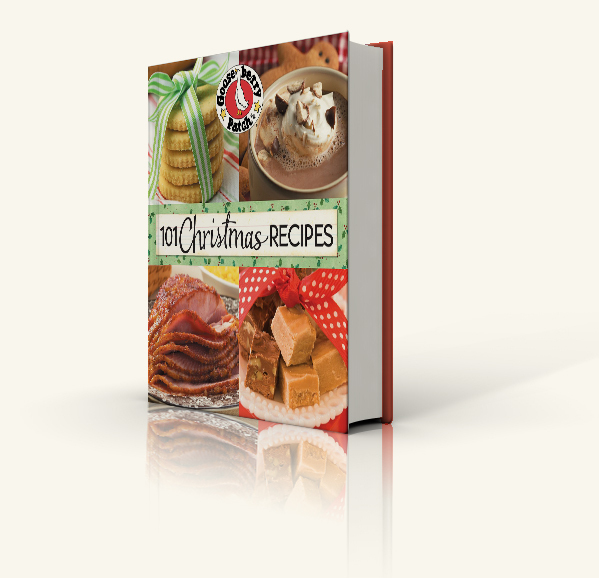 With a scrumptious photo of each recipe, 101 Christmas Recipes is sure to become your favorite cookbook for tried & true recipes to make your holidays the tastiest ever. With more than 200 titles and nearly 9 million copies in print, plus an ever-growing collection of eBooks, Gooseberry Patch has grown from a kitchen-table operation to a nationally recognized best-selling publisher. 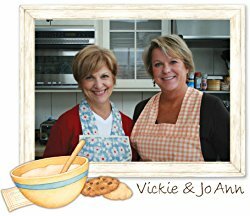 Check out their books below and visit their website (www.gooseberrypatch.com) to get thousands of free recipes and lots more free goodies.